Help to buy – our ultimate guide. Here is the ultimate guide to the government backed Help to Buy schemes being offered in the England. In this article I am going to focus on two of the three main scheme’s available now as the mortgage guarantee scheme closed at the end of 2016. 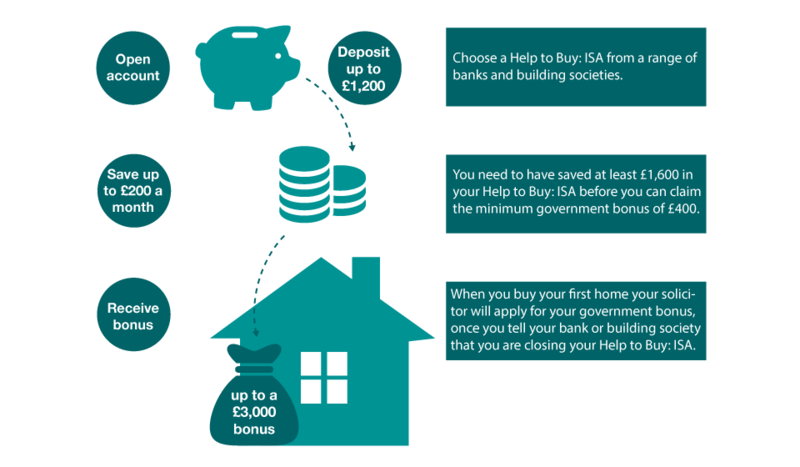 This is a specially designed ISA only for first time buyers. To be a first time buyer you must never have owned a home in the UK. The ISA is designed to boost your savings by 25% up to a maximum of a £3,000 bonus. To kick start your account, in your first month, you can deposit a lump sum of up to £1,200. The bonus is claimed by your solicitor at point of purchase. If you have any questions relating to your help to buy mortgage, ask us here. This is a government backed loan to be used for first time buyers and home movers who don’t own any other properties. The government will lend you up to 20% of the purchase price of your new home. The cost of borrowing will be an initial monthly management fee of £1 is payable by direct debit from the start of Homes England loan until it is repaid. After the first five years you will pay an additional fee as interest of 1.75%, rising annually by the increase (if any) in the Retail Price Index (RPI) plus 1%. Once the property is sold 20% of the sale price must be paid back to the government less any overpayment’s. It’s available up to a purchase price of £600,000. You can’t sublet the property. It’s only available in England. It’s only available on new build properties. You must have a 5% deposit of your own. The scheme is set to end on the 2021, but may close earlier if the allocated funds are used. The equity loan must be repaid within 25 years. The buyer must be taking a mortgage of more than 25% of the purchase price. Overpayment’s are allowed, but a minimum of 10% of the current property value. Here is an example of a purchase of a new home with a purchase price of £200,000.